If you're squeamish, you should probably stop reading now. Are the new readers gone yet? Good. So here's the situation: Demodex mites are on (or more properly, in) your face right now. 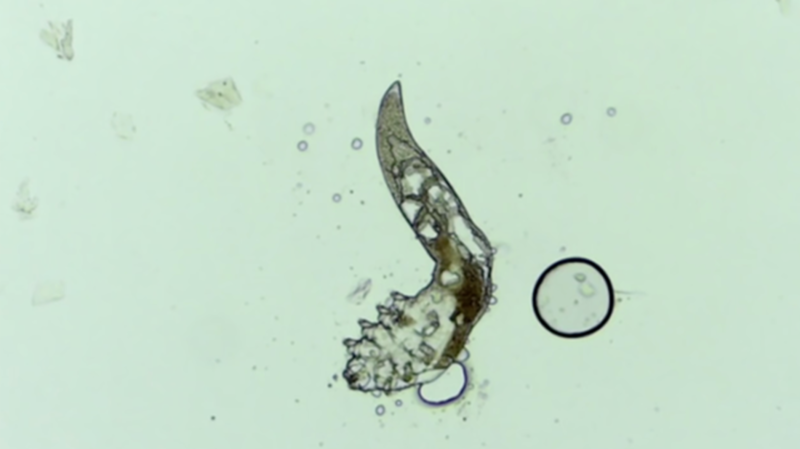 They live inside hair follicles, and over a roughly 2.5-week lifecycle do everything you'd expect a little gross mite to do: Eat, poop, and reproduce. On your face. But don't worry. The mites were there before you read this, and they'll be there after you read this. They're like happy little pooping friends, but on your face. They are probably not harmful and might even be beneficial. So just don't think about them. Nope, no reason to freak out whatsoever.